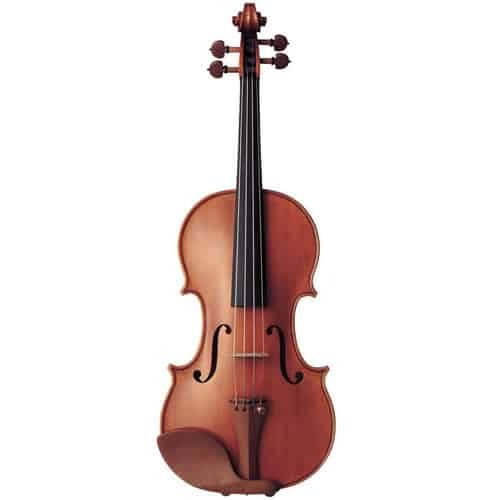 Designed especially with younger performers in mind, the V10G is based on the same Stradivari inspired design as the YVN200S and YVN100S violins. Each instrument features a hand-carved spruce top, maple sides and back, and a special hand applied shading oil varnish normally found only on higher-price instruments. 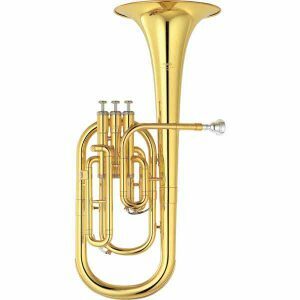 The V10G is sold as a separate instrument only. It doesn’t include case, bow, or other accessories. 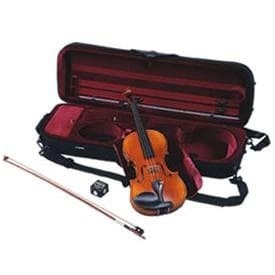 The V10SG is a set including V10G violin, case (VHC2), high quality pernambuco bow, and rosin. 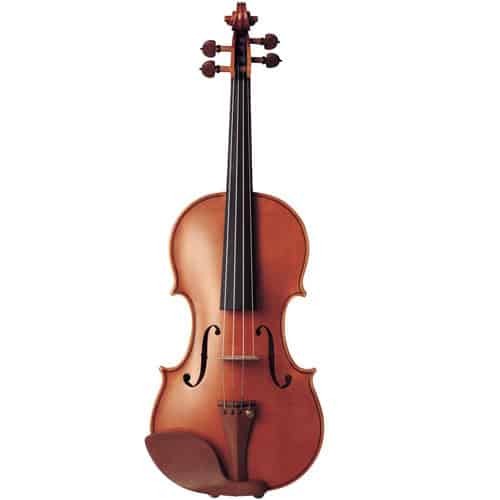 The V20G is another Guarneri inspired violin which produces a rich and sweet, yet powerful sound. 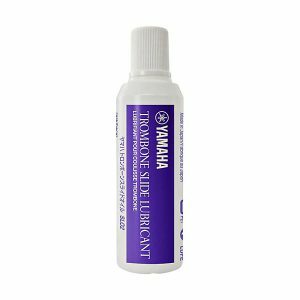 Each instrument is painstakingly finished with a specially formulated shading oil varnish which gives a beautiful appearance and warmer tone. 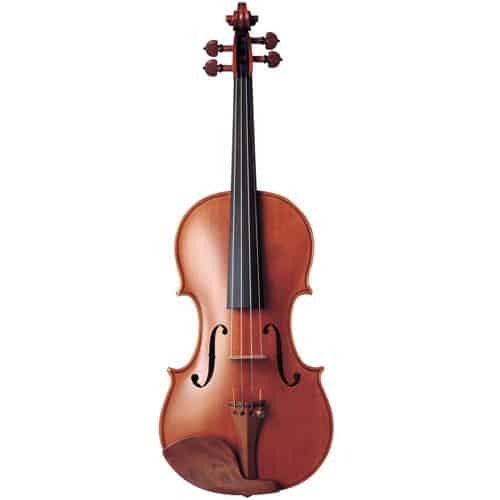 The wood material has been carefully selected and like the YVN Series violins, the V20G offers excellent sound and playability, with consistent quality in every instrument. 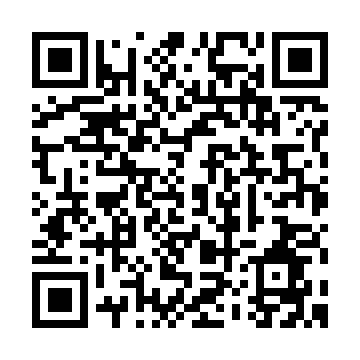 The V20G is sold as a separate instrument only. It doesn’t include case, bow, or other accessories. 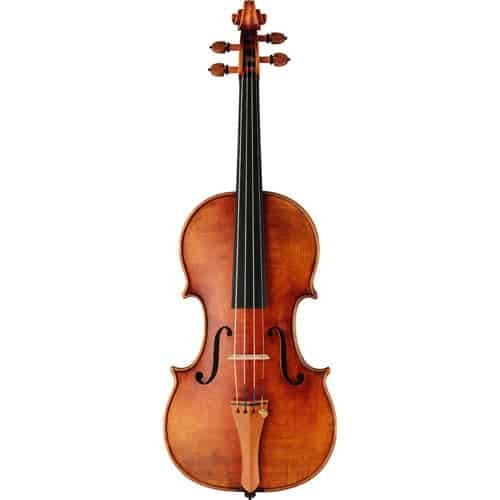 The YVN100G was created using the same specifications as the YVN200G and it is also based upon the violins of Guarneri del Gesu. 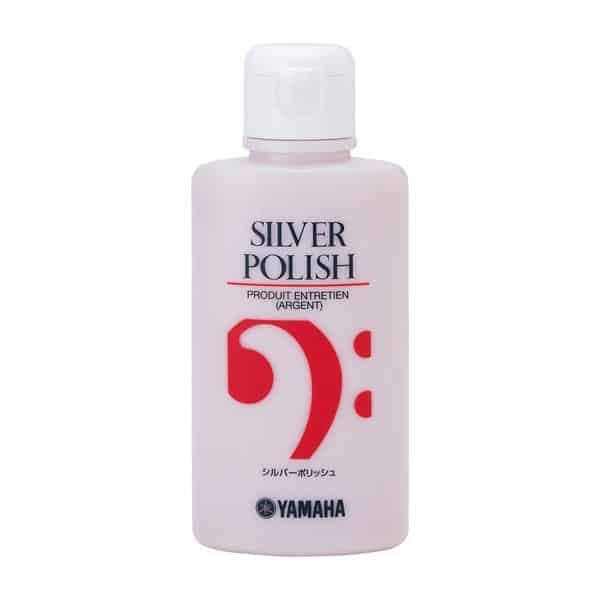 It offers warm full-bodied tone rich in harmonics, yet with enough definition to sound clear and alive in all registers. The 100 Series are crafted by the same experienced artisans who produce the 200 Series, and deliver exceptional quality at a surprisingly affordable price. The YVN100S features a design based on that of Stradivari, and it shares the specifications of the YVN200S. The tone is lively and brilliant, but tempered with enough warmth to sound full and expressive. And the quick and sensitive response enables players to express their most subtle musical nuances. The 100 Series violins were designed to offer quality as close as possible to the 200 Series, yet at prices appealing to the budget conscious. The YVN200G features a design based upon the legendary instruments of Guarneri del Gesu. 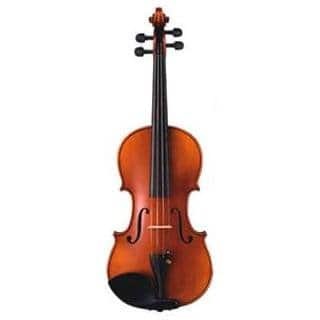 This is a violin capable of great emotional expression, and it is characterized by full, rich tone with a clearly defined low and mid range, and a high range that is sweet and melodious. Crafted by the most experienced artisans the 200 Series violins are examples of the finest craftsmanship that Yamaha has to offer. The YVN200S has been created from the study and analysis of violins crafted by the master, Stradivari. 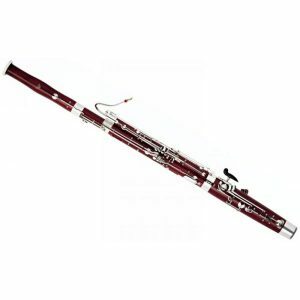 It puces a brilliant, noble tone that is highly responsive to the player’s expression and it is exceptionally sensitive to the slightest changes in bowing. 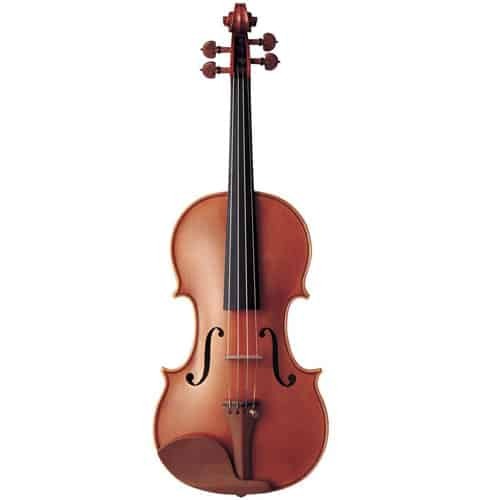 Both 200 Series violins are made from wood rigorously selected and precisely seasoned and their finish has been applierodd using techniques learned from the great masters of the past. Yamaha’s high-end violin YVN500S has the best sound as today’s brand new violin, yet with tonal characteristics of the old masterpieces. Many artists have evaluated this violin and stated to possess the ability of concerto performance. 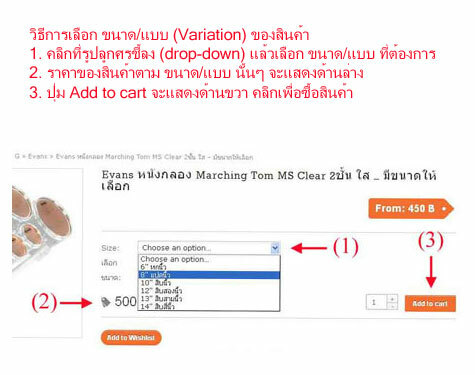 YVN500S, Stradivarius pattern, has solid and bright sound, especially in higher register.